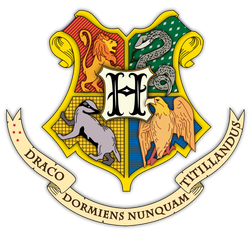 Hogwarts has been covered with great detail on my websites such as Harry Potter wikia and lexicon, as such I feel there is little need to explain everything here. Although, I found myself in need for making a list of all students in Hogwarts who had been attending starting from the time the main character (Harry/Camellia) enrolled until he/she graduated. As such, I have compiled the lists, house-wise and year-wise. The Hogwarts Houses description, entrance procedure and common room with a list of students house-wise. List of Hogwarts students year-wise with their houses mentioned.